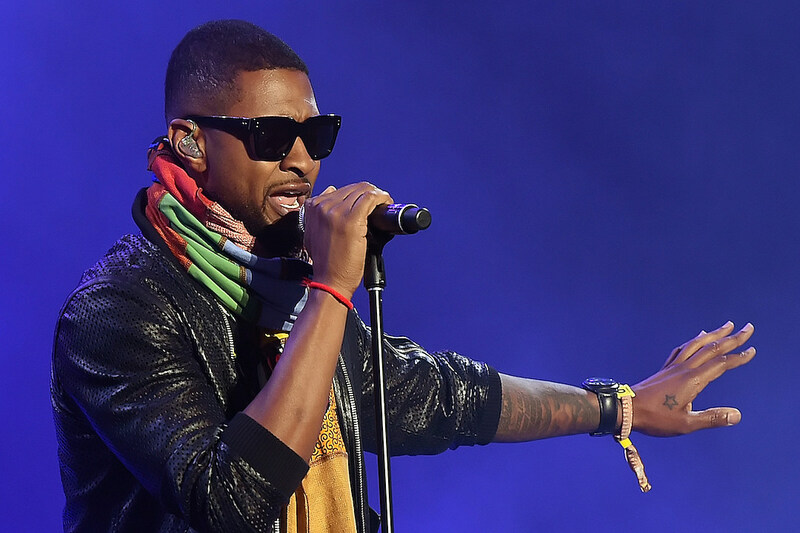 In the latest celebrity tribute to Prince, Usher took the microphone to perform two of The Purple One’s biggest hits at Coachella 2016. But Usher wasn’t the only performer who wanted to pay tribute to the late music icon. Jhene Aiko joined Gallant for a duet of “Diamonds and Pearls” and Ellie Goulding tackled “When Doves Cry.” Meanwhile, Ice Cube was also in the moment as he wore purple shoes and a purple bandana. Elsewhere, Killer Mike shared some touching words on the late icon as well. “Prince, wherever you are, we are burning this to the ground in your name,” he said. Joey Bada$$ and Mavis Staples also paid tribute to Prince at the annual music festival. The numerous amount of Coachella tributes comes down a long line of remembrance for the symbol known as Prince. There’s been a number of musical and penned tributes since the announcement of Prince’s death last week Thursday. Check out the Coachella tributes below and let us know, who did it best? Leave your answer in the comments!